A unique class fantastically taught. 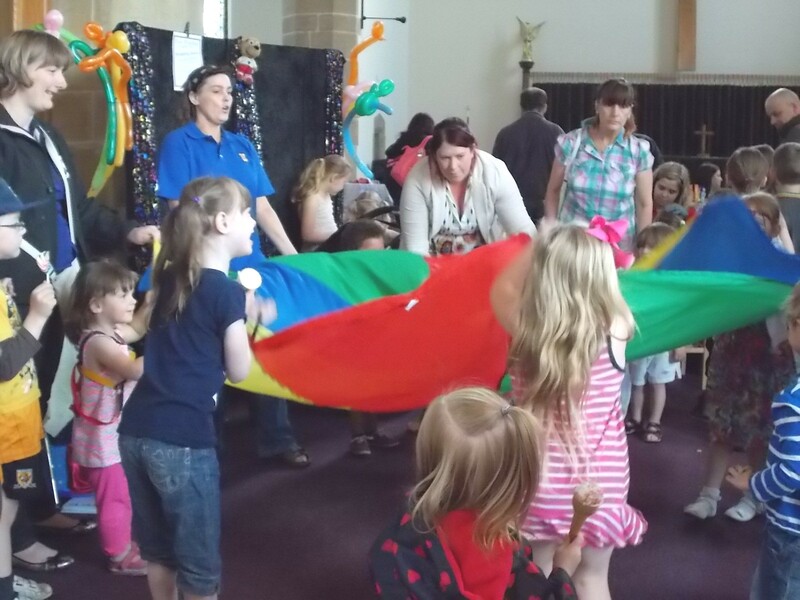 My 3 year old son loves the parachute games and Old MacDonald especially when the animals pop out of the box. He loves running around and the singing and dancing. 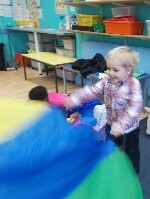 I was surprised how much he has taken in and I think I have learnt more French in a few weeks then I did at school! 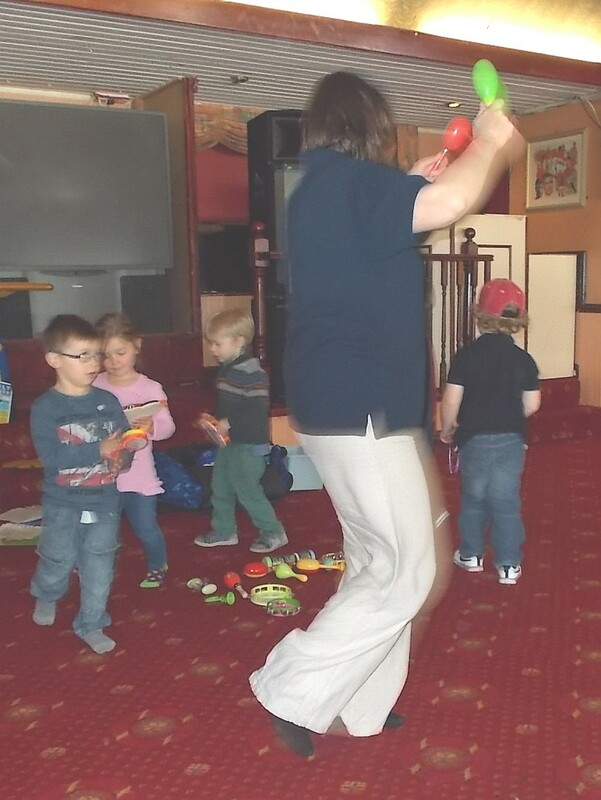 Sandrine provides regular sessions for childminders and the children in their care at Acorn Children Centre. The children love going along to the sessions. 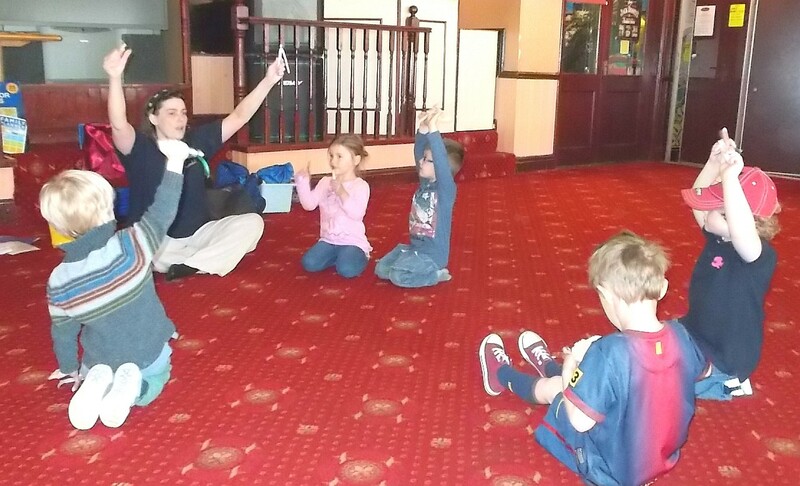 They love the singing the animal teddies and the parachute game. It's great fun and we always look forward to the next session. Highly recommended. Every other Friday, I take the two boys I care for to Little Monkeys. 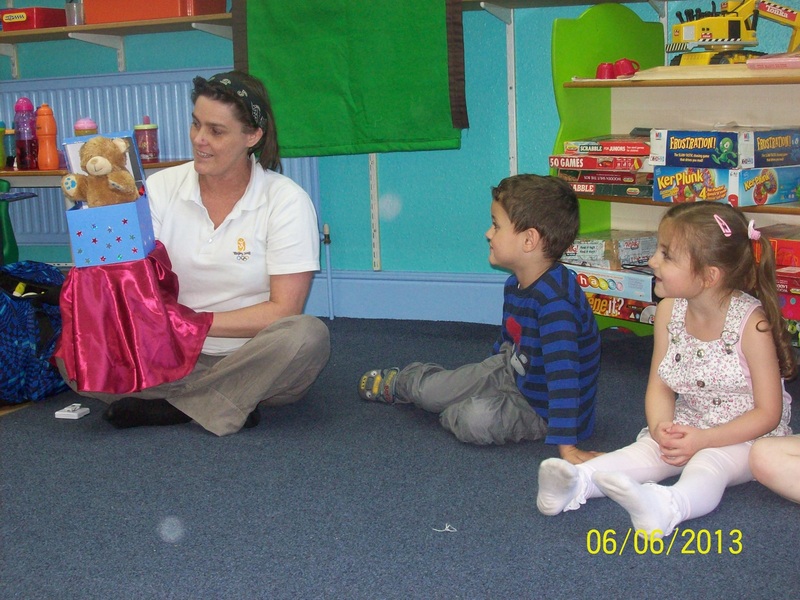 They are really enjoying the French class with Sandrine. 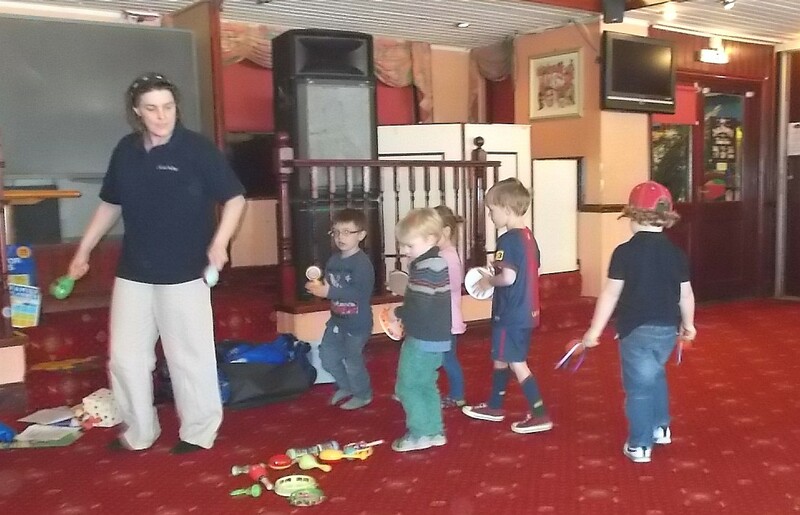 I often hear them sing the songs they have learned. 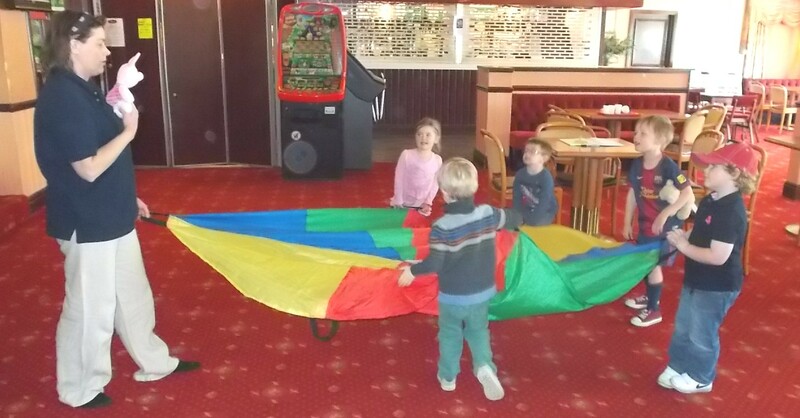 The children's parents have commented to me that their child will often say "Bonjour" to family member or count in French. 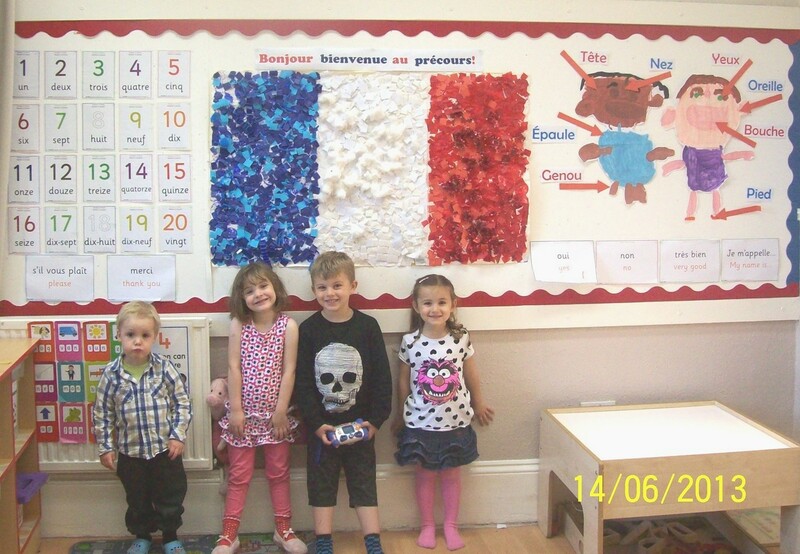 Was initially surprised that Harry was being taught French at nursery - but delighted!. 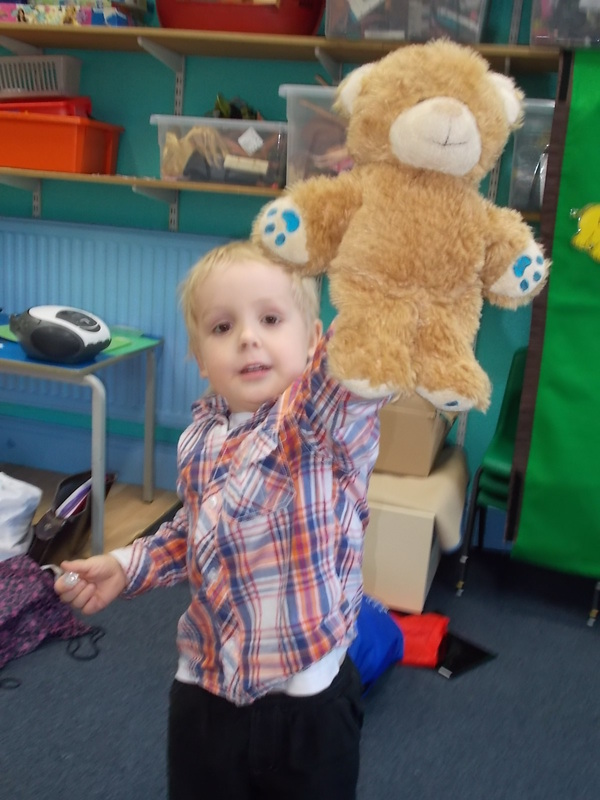 He's loved it and is proud of the badges he's collected for good work. 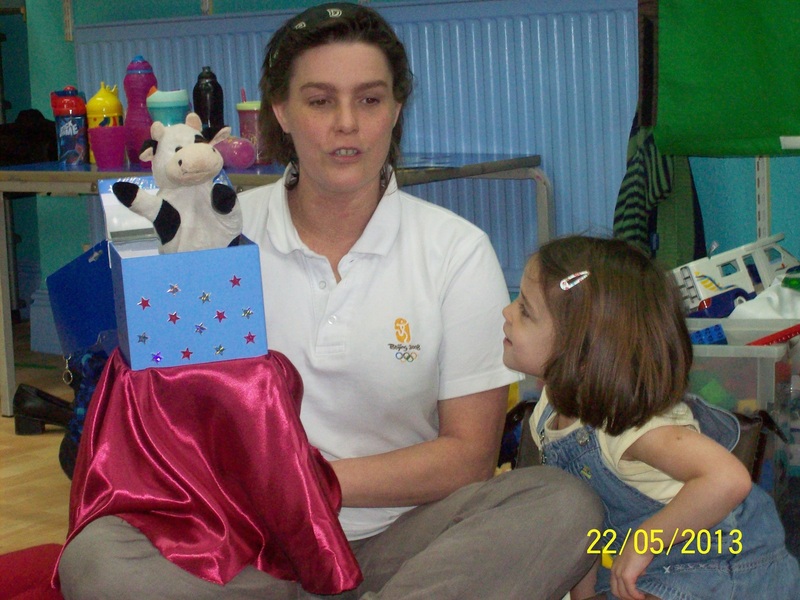 Caitlin loves the French lessons and she is always singing the songs she has learnt. 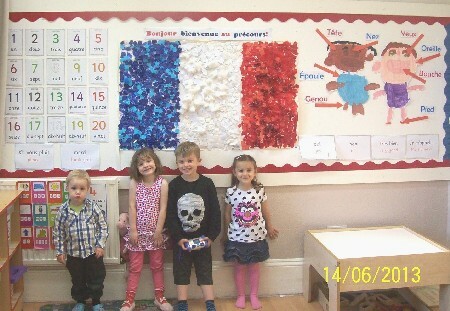 I think it is a really good idea and gives the children a chance to learn about French. Caitlin likes to say "Bonjour, which she knows means "hello" and I think that's amazing for a 3 year old! Edith really enjoys her French lessons and practises at home. 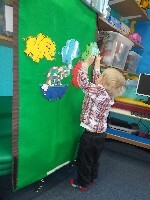 It has awakened her curiosity and interest for other languages. 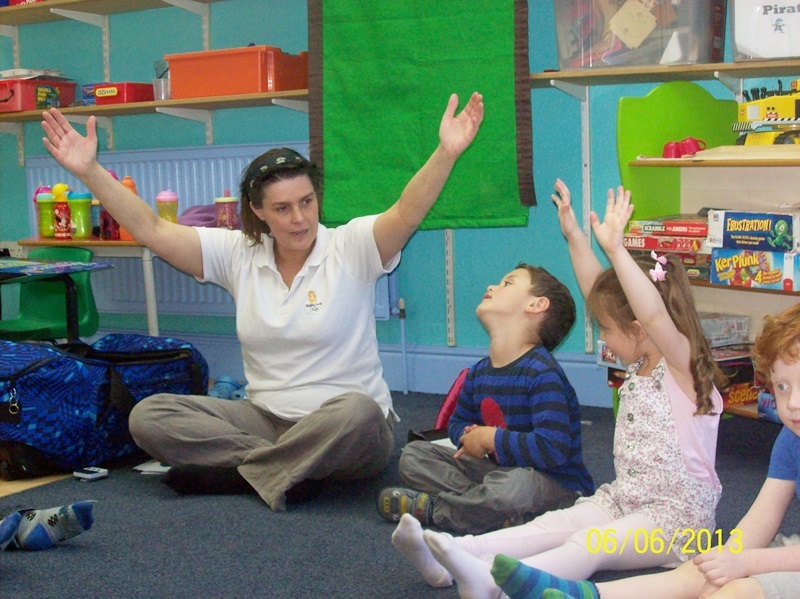 Sandrine comes to our nursery every week and teaches our pre-school class as well as the 2-3 years old group. 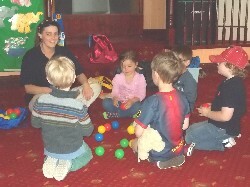 The children in the two groups really enjoy the sessions and are always looking forward to the session. 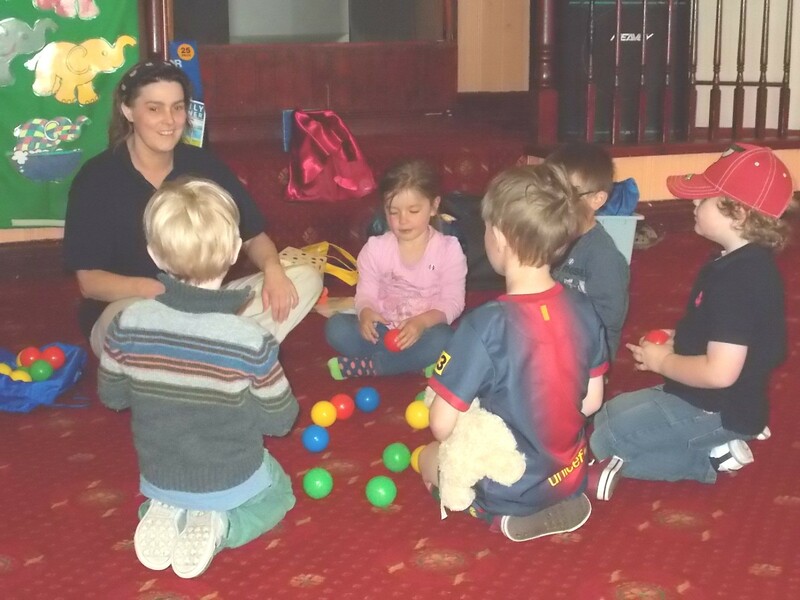 The sessions are fun and the children are keen to take part in the various activities, especially shaking hands with the animal farm and saying “Bonjour” to them. 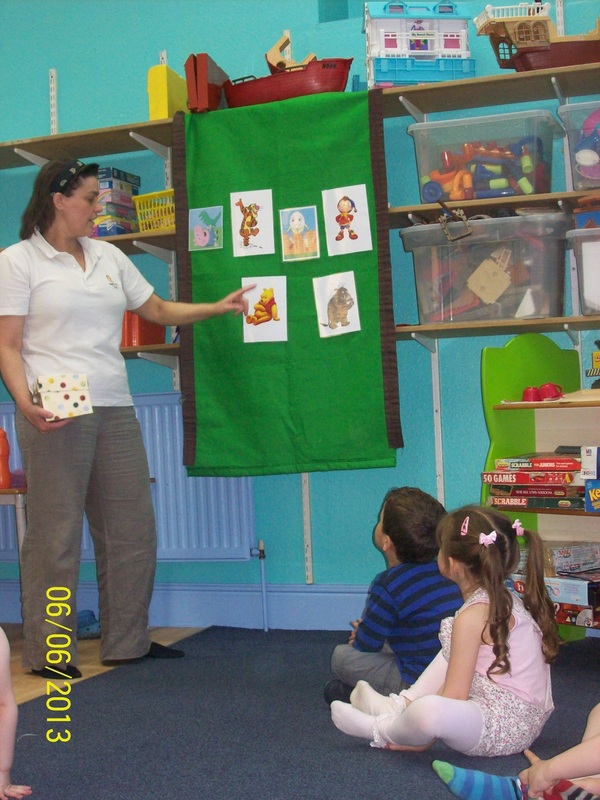 Sandrine uses colourful props such as hand puppets, musical instruments, parachute and flashcards with characters the children know. It is amazing to see how much the children remember the French, for example; colours, parts of the body, names of the animals etc. 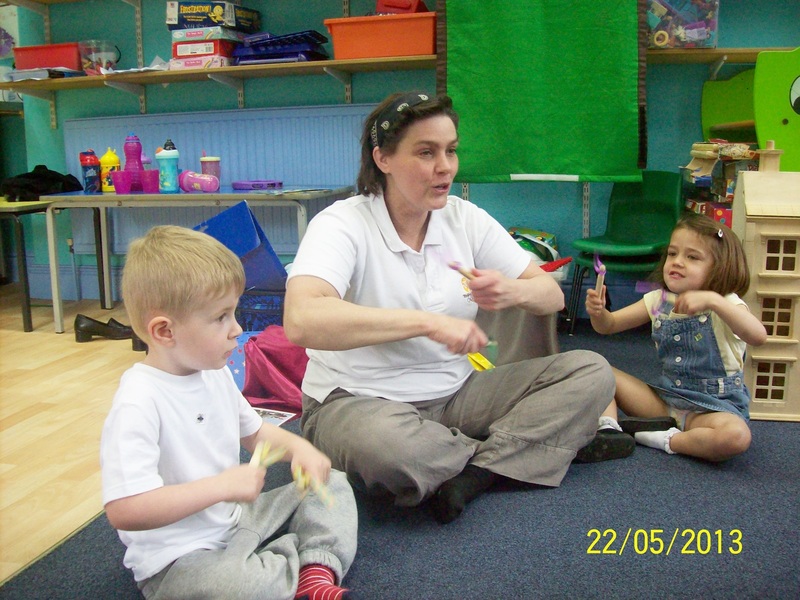 They can also sing along with the songs and they especially like singing wind the bobbin up and Frere Jacques. I really recommend “The singing teddies” class to other nurseries. 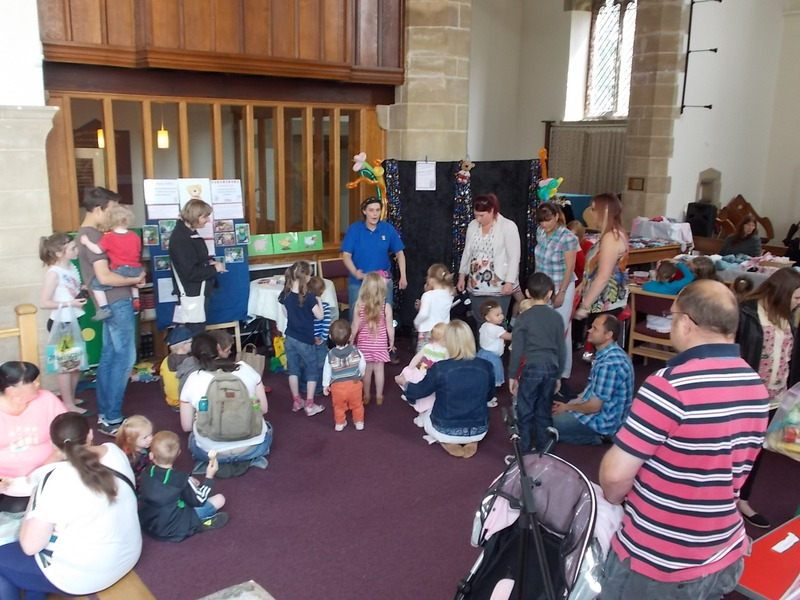 The children really love it, it’s good fun and educational at the same time. Also, we have found that the parents are very supportive. 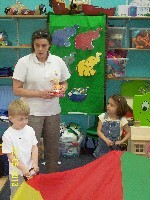 They like the idea of their children learning a foreign language at such an early age through fun activities. 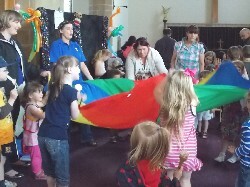 Wind the bobbin up and find the coloured balls. 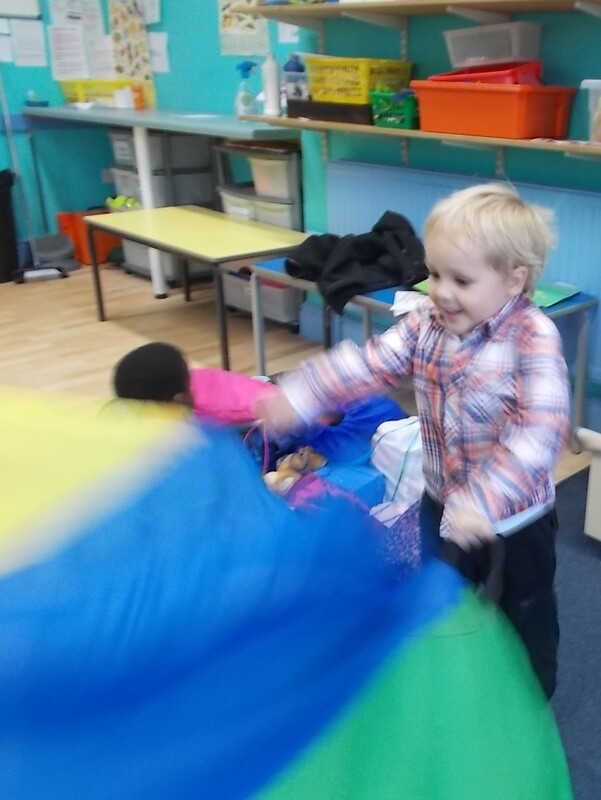 Playing with the parachute and playing musical instruments.